Deputy Defense Secretary Robert Work estimates that a two-year budget agreement forged between the White House and Congress will create a $14 billion Defense Department spending gap in fiscal 2017, Defense News reported Monday. 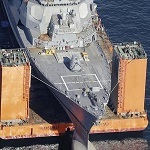 Work does not expect the budget deal to cause a major disruption to DoD operations in fiscal 2016 but he said the projected spending variation for the following year will be “a harder target to hit,” according to the story by Aaron Mehta. Mehta writes the tentative budget would raise 2016 defense spending levels to $607 billion, which falls almost $5 billion short of what authorizers previously budgeted. 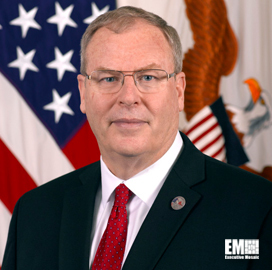 Separately, Work told Breaking Defense reporter Sydney Freedberg Jr. in an interview that implementation of a third offset strategy remains a top priority for DoD. The department could invest in cyber, electronic warfare and space technologies through the initiative, Freedberg said. “What we’re planning on doing this time is, what can we do to get an advantage for the next five to ten years, and then immediately start working on the advantage that will give us an edge in the next five to ten [after that],” Work added in the interview.